Apple doesn't need to be first. It didn't make the first smartphone, the first smartwatch, or the first tablet computer. But there is an expectation that its products will be the best. Now, the company is going after its competitors by brazenly imitating their successes. During Monday's big preview of new software coming out this fall, Apple announced a lot of familiar-sounding features. Some were minor, like opening up Maps to developers (hello, Waze), or adding "widgets" to the iOS lock screen (good day, Android). Here are some of Apple's (AAPL) big product announcements and how they compare to what's already out there. Google Photos is only a year old, but the cloud-based photo backup service has drawn praise for unlimited storage (for compressed images anyway) and some very clever automatic organizing features. Apple is adding extremely similar bells and whistles to its Photos apps on iOS and the Mac. It will have face detection, object and location recognition, and comb through older images to create "Memories," which become automatically edited videos. How it's different: Apple's angle here is privacy. It does all the computations (11 billion per photo) on-device instead of in the cloud. The reason, they say, is to give users more privacy and control over their own data. Since it's not in the business of selling things like targeted ads, Apple is less interested in an individual's data than a company like Google (GOOG). There are some tradeoffs. It's unclear how far back the Memories can actually go since many people upload their old images to a service like iCloud or Dropbox to free up memory on mobile devices. And Apple doesn't offer unlimited backups. Apple is opening up Siri on iOS so developers can integrate their services with the voice assistant, following in the steps of Cortana and Alexa. 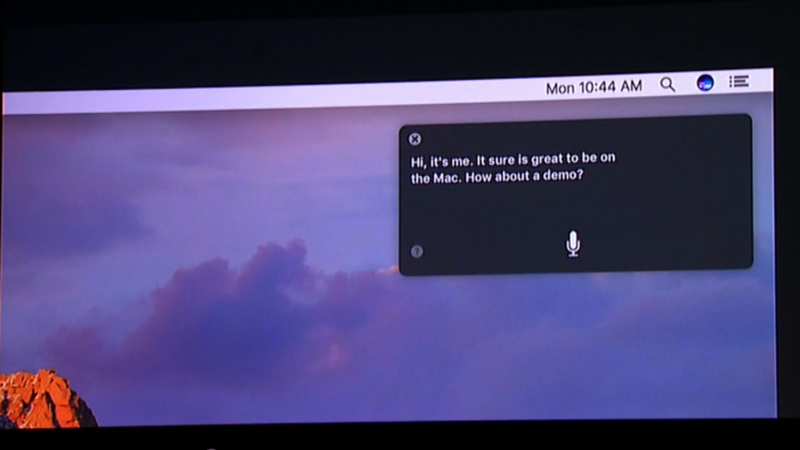 It's also coming to the Mac, just like Microsoft (MSFT) did with Cortana and Google did with OK Google, though that version won't be available to developers just yet. And Apple is adding Siri controls for smart-home devices to the Apple TV, which will make it somewhat competitive with Amazon's Echo and Google's forthcoming Home speakers. How it's different: Apple has a lot of experience with the technology and a huge pool of users. It also already has strong relationships with major developers, many of whom are likely excited to finally tap Siri's powers. But the company is proceeding with caution and only letting six types of apps use Siri. It leaves music, mapping, weather and many others out. This keeps Apple's own apps from being overshadowed, but could also strangle innovation and annoy people who just want Siri to play a song on Spotify. The default messaging app for iOS was pretty basic, with text and SMS messages on a clean white background, and an emoji keyboard available for people who hate typing out "taco." 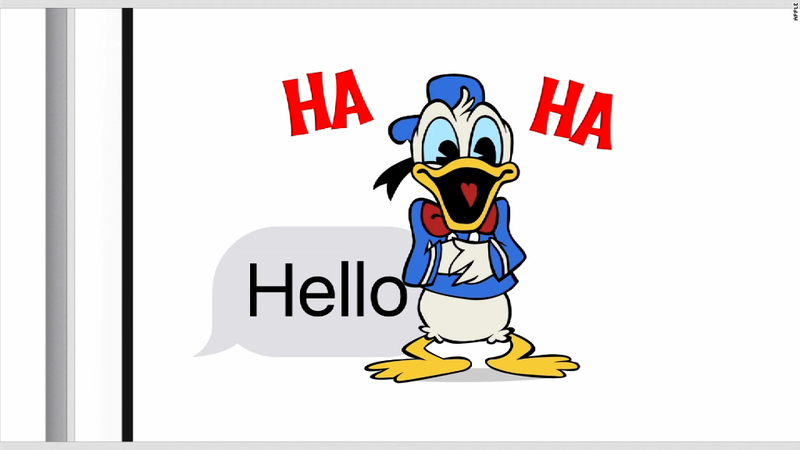 Now Apple is adding the following things kids will have to explain to their parents: animated backgrounds, enlarged emojis, gifs, stickers, animated text bubbles, doodles (perplexingly branded "Digital Touch"), and invisible images that only appear when you rub them and totally won't be used for anything naughty. It's following in the footsteps of pretty much every popular messaging app: Facebook's WhatsApp and Messenger, Snapchat, and popular Asian chat apps like Line. Google is even working on its own chat platform called Allo. How it's different: Unlike the popular third-party messaging apps, Messages is only on Apple devices. That means a lot of the new features won't translate when you're chatting with someone on an Android device. Apple is also showing a bit of restraint and not going after this year's most overblown tech trend, bots. When the first iPhone was released in 2007, Apple said it had "Visual Voicemail," but that just meant you could see a list of all voicemails. Now it will finally live up to the name and take a stab at transcribing voicemail messages into text. It's a service Google Voice has offered for years, though they are often fantastically incorrect. How it's different: Google's surrealist translations leave a lot of room for improvement. If Apple has improved on the technology at all, the feature is sure to be a hit with anyone who hates listening to rambling messages. Unfortunately, it won't be included in the first version of iOS 10, so we'll have to wait to test it.